Attend Boston UX courses and learn from expert instructors who are practicing professionals with real-world UX experience creating apps and websites for mobile, desktop, and tablet. Regularly scheduled public UX classes in Boston can be taken individually, or enroll in a multi-course UX certificate program. 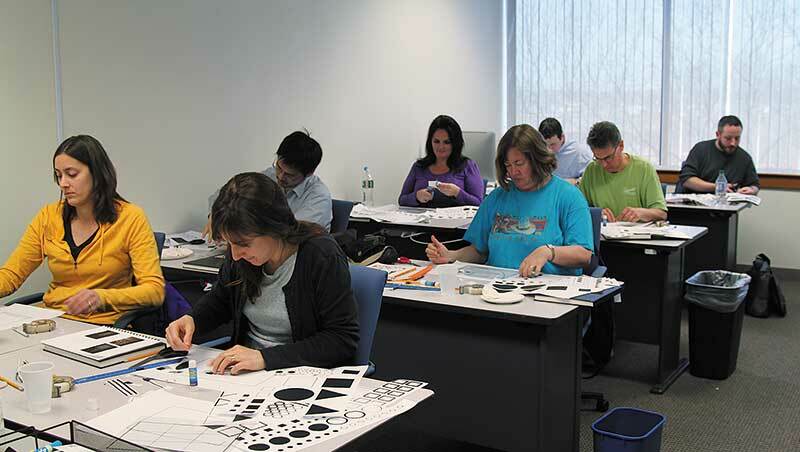 American Graphics Institute is the only state licensed school offering UX training in Boston. Attend public UX classes in Boston at our training center, or private UX training in Boston for groups offered on-site at your location. Learn UX from experienced professionals with backgrounds in UX management for app and web design projects. Any of the individual UX courses below can also be applied to the comprehensive UX Certificate program. Information about the UX classes offered in Boston is listed below. If you have questions, you can use our UX Training Information Request Form to contact us, or call AGI at (781) 376-6044. The UX courses in Boston at American Graphics Institute are led by user experience professionals with extensive backgrounds in web and app design. You will learn UX from professionals who have led web and app design projects for desktop, tablet, and mobile projects. Our Boston-based UX instructors also have extensive experience leading ux workshop in Boston and the surrounding area. UX Classes and UX Training in Boston. Adobe Training, Photoshop Classes, InDesign Courses, HTML Classes, UX Classes, Creative Cloud Classes, Illustrator Classes, and Apple Training in Boston. Our UX classes in Boston are held in our training center located in Woburn, with ample free parking and easy access to the MBTA from Boston's North Station. If traveling from Boston's North Station by train, take the Lowell Line to the Woburn - Anderson station. Our UX classes are held at our training center which is approximately a five minute walk. Clients attending a user experience class in Boston who are visiting from outside the area can fly into Boston Logan airport or the Boston-Manchester airport in New Hampshire. There is regularly scheduled bus service from Boston-Logan Airport to the Woburn Anderson Regional Transportation Center.